This sounds so easy and interesting that you can make it in the Instant Pot. I didn’t know you could use a bundt pan in there. 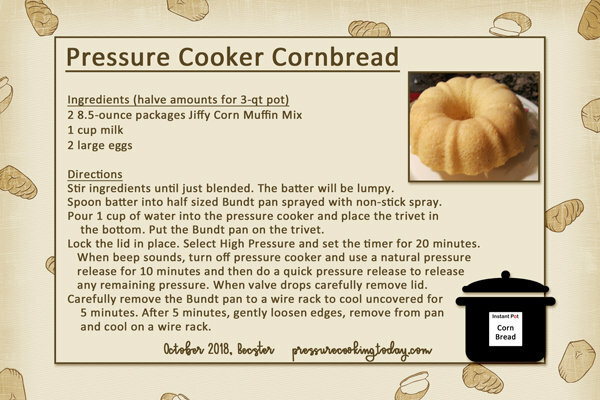 Your card is so pretty and I especially liked seeing your own bread in the photo - I LOVE cornbread!